Our daughters primary focus in the aesthetics of her wedding were the flowers. We all were so grateful for and AMAZED by the artistry and thought displayed through the work of Kayla and Mary’s vision and hands. In the end, it was everything she dreamed and more...and we felt like we gained friends. Mary and Kayla of Rose and Honey were a joy to work with! First off, the flowers are phenomenal. 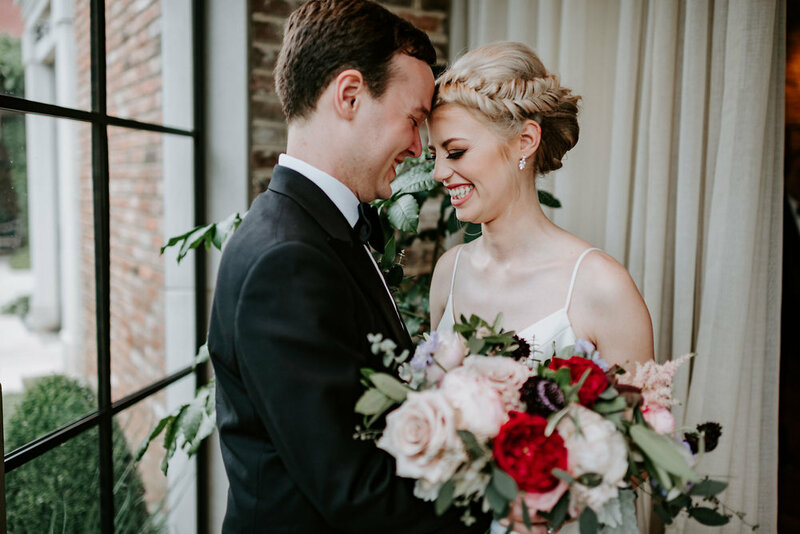 Look no further than Rose and Honey’s Instagram to see that each event’s florals have their own unique style well suited to the venue and couple! Communication and planning beforehand was timely, professional, friendly, and flexible - we needed to make some last-minute changes to the arrangements after our reception layout was finalized, which was easily done. 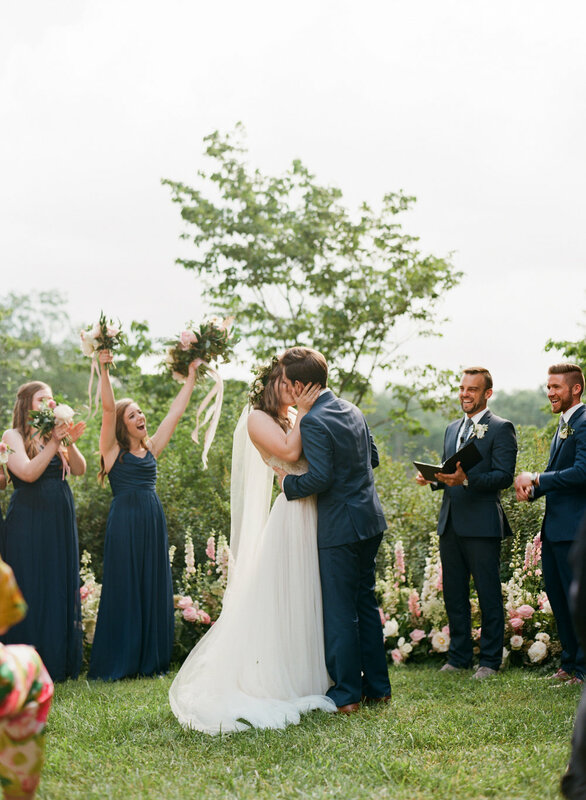 Their pricing was competitive with the other florists that I explored, and they easily accommodated a wedding in Lexington although they are based in Louisville. We are so happy that we chose Rose and Honey and got the privilege of working with Mary and Kayla! Kayla and Mary with Rose and Honey Floral were the only two people I ever considered to provide the flowers and decor for my wedding! I honestly gave them very little to work with but somehow they got my vision from day one and I couldn't have asked for anything more. I knew from the beginning I was in such good hands and whatever they created would be absolutely stunning. From the flower arch, to my bouquet, to the variety of table centerpieces, everything was absolutely beautiful and honestly so much more than I could have ever imagined for my wedding day. Not only are Kayla and Mary two of the sweetest, most genuine people you will ever met - they are extremely organized, flexible, detail oriented and VERY easy to communicate with which is sometimes hard to come by in the wedding industry. Anytime I emailed them, I received a response back well within 24 hours and no request or question that I made ever seemed to big or too small for them. They took care of every last detail, including a walk through before the wedding, set up AND tear down, all the flowers and they even provide candlesticks/vases/etc so you do not have to worry about renting from outside vendors.. My family or I never had to worry about a thing. I could not recommend these two enough. They are so so so wonderful and will take such good care of you on your most special day! Hands down, these gals delivered beyond my wildest dreams for our wedding day! When you first meet Kayla and Mary, it is like you have known them your whole life. They took my wedding vision and ran with it to create everything more perfect than I could have ever imagined! They were always prompt to return correspondence and were a pleasure to work with in every aspect of planning. It was an added bonus that they had previously worked with all of my other vendors! I can't recommend them enough! I can't say enough WONDERFUL things about Rose & Honey. Not only do they create the MOST beautiful flower arrangements (just look at their IG.. I'm still obsessing), they are such a pleasure to work with - such professionals and such nice people. Kayla and the rest of the crew at Rose & Honey made planning for our wedding flowers/centerpieces a breeze. I showed a few pictures to communicate our general vibe/colors and turned over the rest to the creatives. I was so pleased with how everything turned out. Our day was beautiful, and stress free - thanks in part to Rose & Honey!